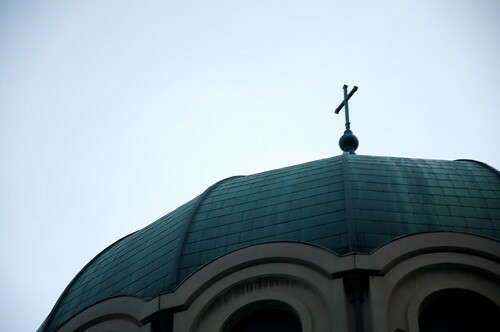 Just before the weekend, we posted a story about the debate over granting a landmark designation to a Russian Orthodox church on Second Street. The piece was also referenced on nonconforminguse.com, a blog focused on land use issues. We’d like to hear your thoughts about landmark designations and if you think there are any solutions that could be, as Mr. Bass noted, win-win. Russian Orthodox Cathedral Landmarking from The Local East Village on Vimeo.